Our albums are the only ones that will lay flat on your coffee table and not bow like all of the other photographic albums available. Printed on the same high quality photographic paper our custom prints are made with, Lay Flat Albums give you the same high quality image reproduction and permanence as our fine photographic prints. They will give you generations of enjoyment. The pages are made of prints mounted back to back, offering a lightweight feel to the pages within. The sizes available are: 4×5, 4×6, 5×5, 6×9, 8×8, 8×10, 8×12, 10×10, 12×12 (both horizontal and vertical orientations available) Our albums have a variable page count; 10 page minimum to 30 page maximum (1 page = 2 sides) and are available in our normal E-Surface finish, Metallic, or True Black & White photographic paper. The pages come with round or square corners. The covers are available with our standard leather and custom image covers. 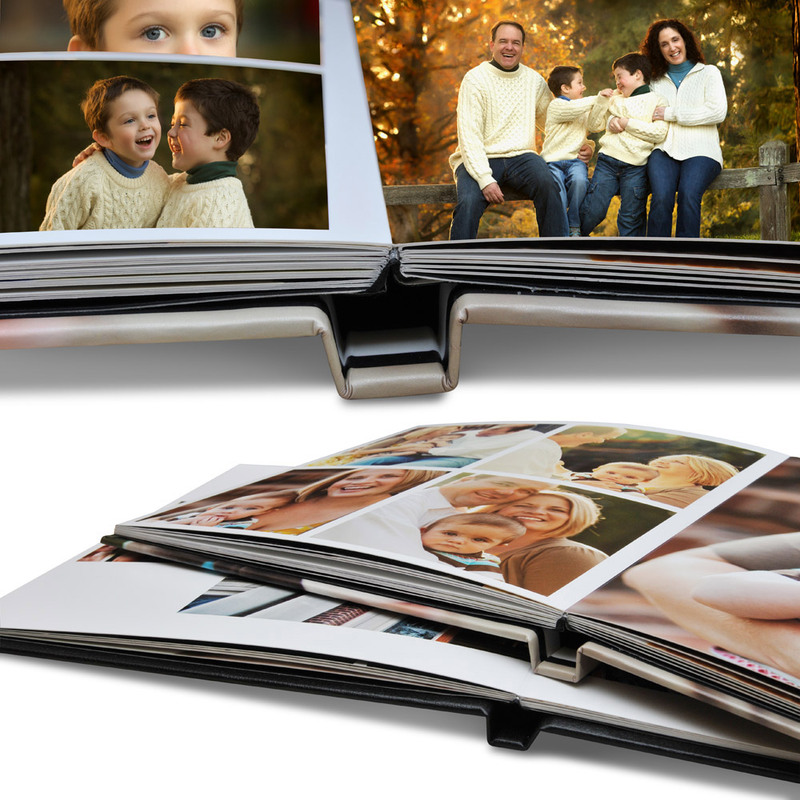 You can also personalize your album with imprinting in silver or gold; lower center or lower right of front cover.